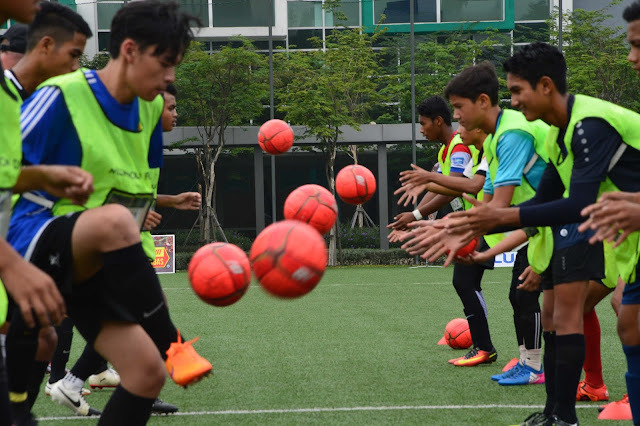 For two talented young Malaysians, their decision to sign up for a football competition may be one which could possibly change their lives forever. Wan Muhammad Irfan Bin Wan Nizar and Muhammad Diniz Bin Irwan, both from Kuala Lumpur, were selected as winners for the second season of Million Dollar Feet™, the ultimate contest in Malaysia to discover the best talents in the country aged 11 to 16. The two lads each won the grand prize – an all-expense paid trip to the United Kingdom where they will have the million-dollar opportunity of a lifetime to showcase their prowess for scouts from top European clubs and football academies, with the possibility of signing a deal. Present at the Grand Finals to honour the two winners with their prizes was Deputy Minister of Education, Yang Berhormat Dato’ Kamalanathan a/l Panchanathan. 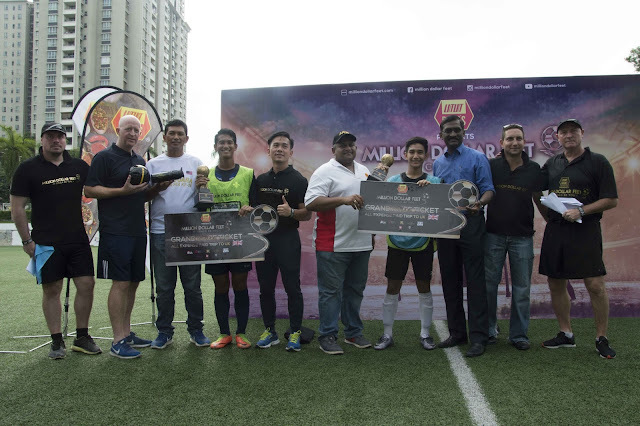 The two winners will follow in the footsteps of Adam Roshan Kris Azman and Mohd Yusry Haziq, winners of the inaugural season of Million Dollar Feet™ last year. Following their performance in front of scouts in the United Kingdom, they were each awarded an exclusive two-year scholarship from one of Europe’s top football academies – Brooke House Football Academy – worth a collective total of RM1 million. 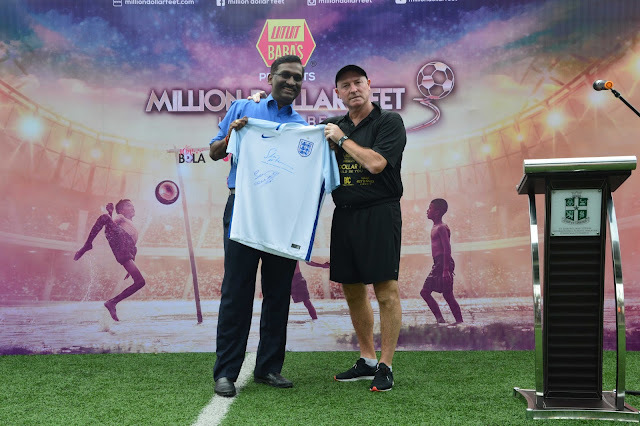 However, it was Wan Muhammad Irfan Bin Wan Nizar and Muhammad Diniz Bin Irwan who ultimately impressed the judging panel led by Million Dollar Feet™ Head Coach, former Liverpool legend Steve McMahon. “It was certainly a great run and this time around, we witnessed some top-notch talent among these participants, worthy enough to shine in the international arena, given the right platform and guidance,” said McMahon. “Our immediate task at hand is to prepare these two boys to give those scouts in the UK the best performance of their lives yet – and hopefully sign a contract with either a football club or a football academy. Either way, it’s going to be a springboard for their footballing career,” he added. “This is what Million Dollar Feet™ is all about – going right down to the grassroots to find the best talents and football. They’re out there, just waiting to shine. And we’re here to find it,” said Peter de Kretser, Founder and Director of Football of Million Dollar Feet. “Our thanks go out to our sponsors and supporters including the Education Ministry and YB Kamalanathan for helping make these young dreams come true, which all of Malaysia can and should certainly be proud of,” he added. He added that already, there are talks and plans to take Million Dollar Feet™ into other Asian countries, as representation from these nations within the big European leagues is scarce. “Hopefully, one day, the next Lionel Messi or Christiano Ronaldo may just come from this part of the world. In essence, that’s what we’re trying to do here at Million Dollar Feet,” said De Kretser. This second season of Million Dollar Feet™ is presented by BABA’S with the support of the Ministry of Education, Malaysia and the British High Commission, Kuala Lumpur. Sponsors include Etihad Airways, Brickfields Asia College (BAC), TGV Cinemas, National Kidney Foundation, Anita, LAC Printing, and 100 Plus.